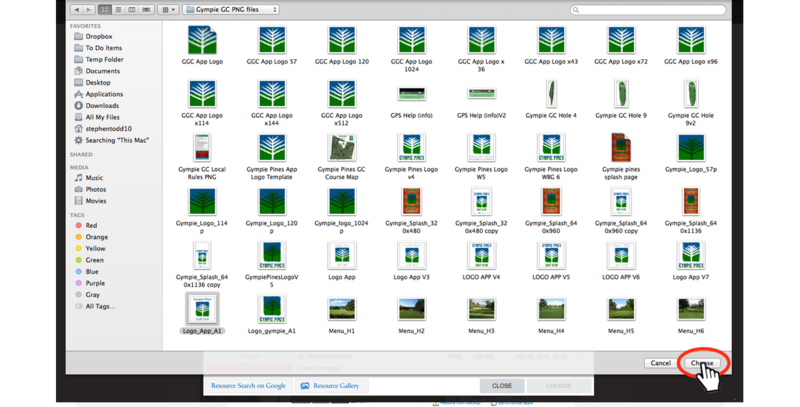 Each App built in iCaddy Apps has its own databank, known as 'In-App Resources' (or the 'Resource Manager') where all the images and files for each App are stored. The following tutorial describes how to upload a file (e.g. 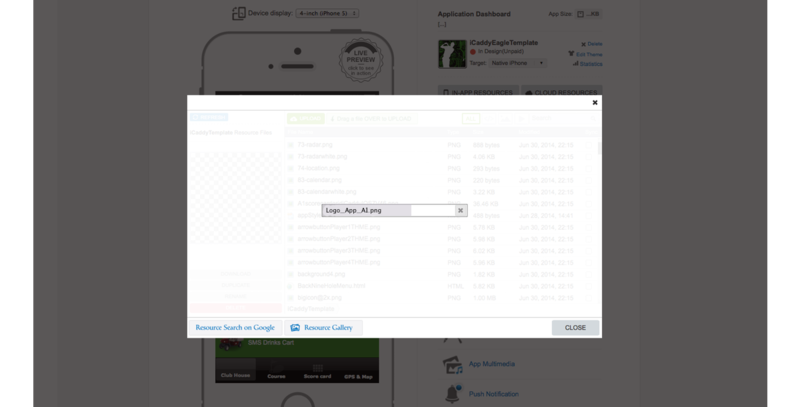 an image file) into the App's 'Resources'. From the App's 'Dashboard' screen, select 'IN-APP RESOURCES'. 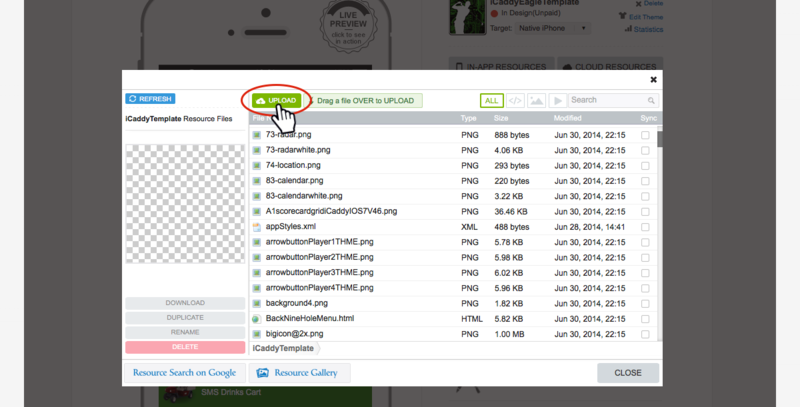 The App's 'Resource Files' will open in a pop-up window (i.e. the RESOURCE MANAGER). Note: You can also access 'CLOUD RESOURCES' from the App's 'Dashboard'. 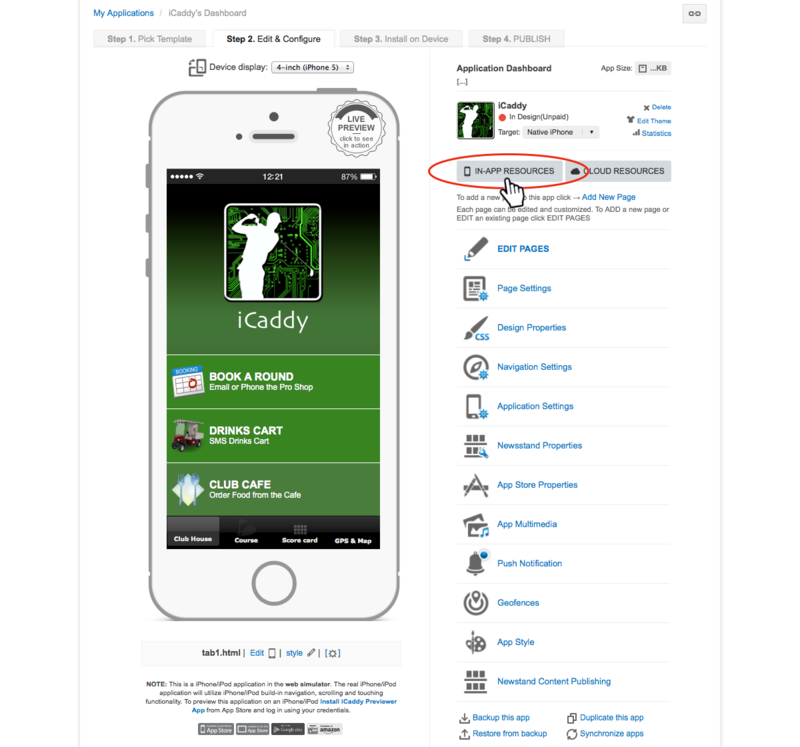 Although this option exists, we do not recommend that you store any of your App's 'Resource Files' in 'CLOUD RESOURCES', as this will require Wi-Fi internet connectivity throughout the entire golf course for the App to operate effectively. 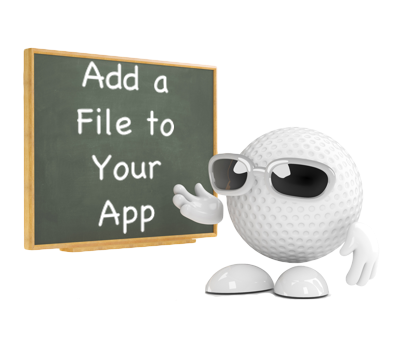 Place all your App's 'Resource Files' in 'IN-APP RESOURCES'. In the 'RESOURCE MANAGER', select 'UPLOAD'. Select the file you want to upload, then click 'Choose' (or 'Open', depending on your operating system). 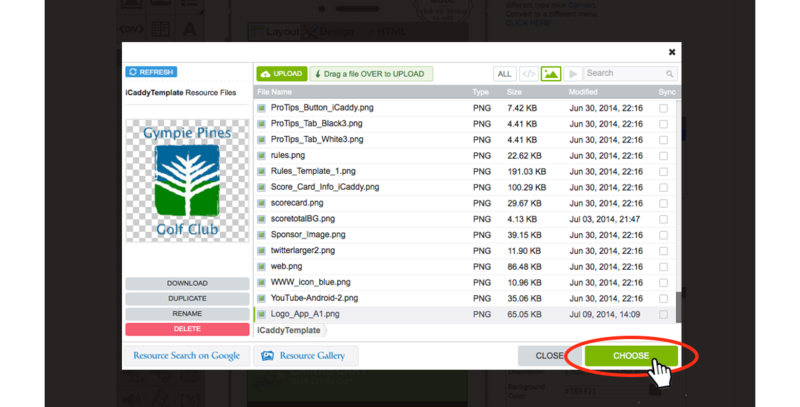 If the file has been uploaded correctly, click 'CLOSE' to return to 'EDIT PAGES'. Note: The 'CHOOSE' button (shown above) does not appear in the 'RESOURCE MANAGER' after uploading a file in this manner - this is because you have accessed the 'RESOURCE MANAGER' directly (either from the App's 'Dashboard' or 'EDIT PAGES' screen) and are not inserting a specific 'Resource' into a particular 'Element' in your App. App 'Elements' are discussed in separate Help pages. If you have accessed the 'RESOURCE MANAGER' when inserting a file (e.g. an image file) into an 'Element' in your App, the 'CHOOSE' button appears so you can upload (and insert) the selected file (as depicted above). For more information on App 'Elements' go to Before You Begin. For more information on adding files or image to the 'RESOURCE MANAGER' as part of the 'Element' editing process, go to How to Add Your Club's Logo to a Page in Your App.